Definitely, not my Mother’s pasteis de bacalhau [codfish pastries]… Still, a very good effort for half the calories and (almost) all the flavour. On a side note – and because I don’t see myself doing codfish pastries Portuguese style anytime soon, I better say it now before I forget it for ever. My Mother and I have kept having a surrealistic conversation every time I went back to visit my family. “So, is there anything special you want me to cook for you?”, she would ask. “Not really… unless maybe pasteis de bacalhau”, I would say. “No, no, no…. anything but that.. it is such a hassle”, would invariably be her reply, in a tone which didn’t allow any further witty remarks. If I remember well, the only time she has cooked them herself it was when I admitted I went for dinner with a friend whose Mother had graced with a batch of homemade pastries. “What!”, she said. “No no need to go out to have pastries!!! I’ll cook them for you tomorrow!!!!!!”. And she did, much to everybody’ surprise and delight. I almost feel tempted to send her this pic in case she decides to prove me wrong and cook this once again. I should probably by a roll-eyes moment, followed by some scorn over using paprika and forgetting the parsley. Put the potatoes in a pan of cold water and bring to the boil. Reduce the heat and simmer for 15 minutes, or until the potatoes are soft but not falling apart. Drain the potatoes well in a colander, tip them back into the pan and mash them until smooth. Put the mash in a large bowl and season with salt and black pepper. In the meanwhile, put the cod fish fillets in a large saucepan, placing the thicker fillets on the bottom. Cover with cold water and add the bay leaf. Put a tight-fitting lid on the pan and gently bring to a simmer. Immediately take the pan off the heat and leave the fish to stand for 5 minutes. Once the fish is poached, drain the fish really well in a colander and break it into large chunks. Be careful to discard the skin and any bones as you go. Put the all the fish – cod and haddock – in the same bowl as the mashed potato. Stir in the lemon zest and spring onions with a large wooden spoon, trying not to break up the fish too much. Divide the mixture into 4 balls and flatten each ball to about 3cm thick. If the mixture is too soft to shape into balls, cover and leave it to cool for a while. Beat the egg in a shallow bowl. Mix the breadcrumbs with the paprika in a large bowl. Dip a fishcake into the egg, coating it on all sides. 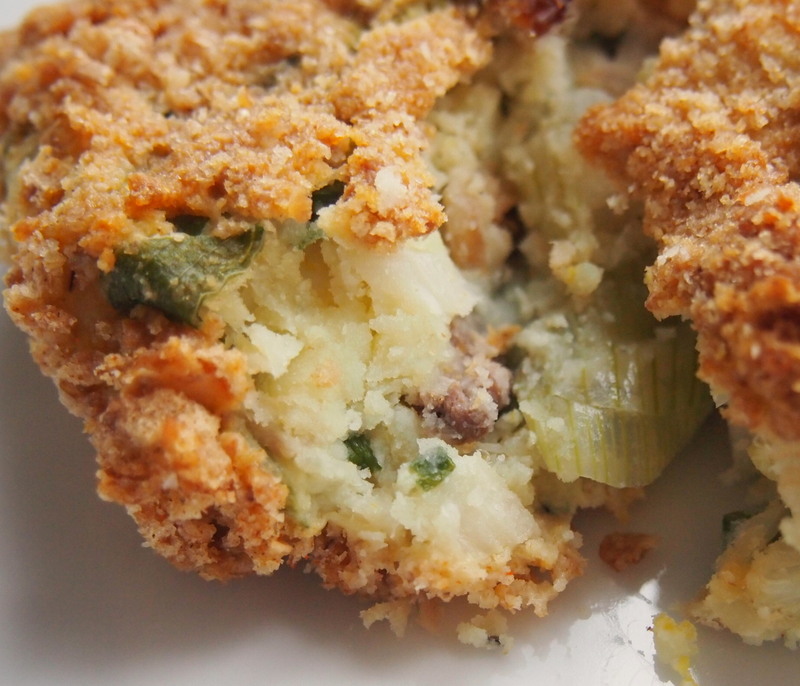 Allow any excess egg to drip off the fishcake and then place it in the breadcrumbs, turning it and pressing firmly to get an even coating of crumbs on all sides. Prepare the remaining cakes in the same way. Leave them to chill in the fridge until you’re ready to cook. Use them within 24 hours, though. I am Portuguese and of Catholic extraction. Therefore, my Christmas dinner must be boiled dry codfish, eggs, potatoes and kale, with plenty of olive oil with garlic. There is no way around it, I am afraid. It is been like this for centuries and everybody just keeps up with the tradition. 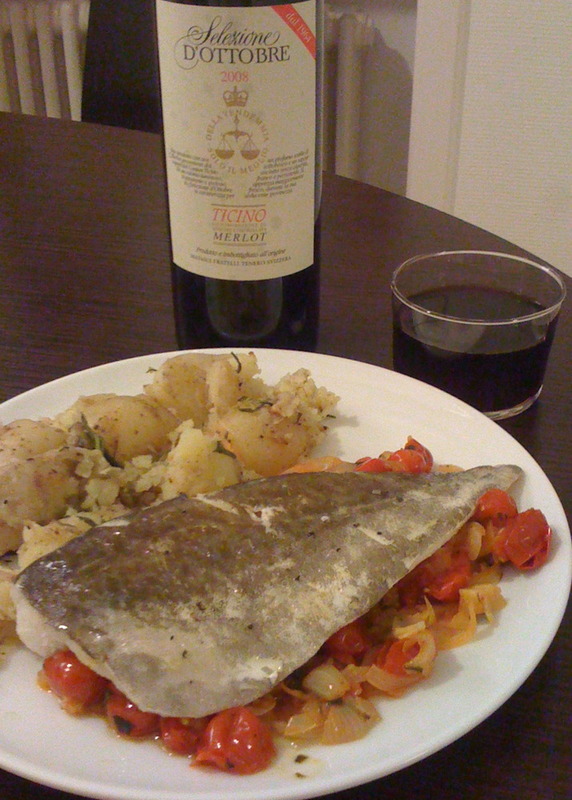 When I was a kiddie my Mother once tried to a bacalhau conventual [convent style codfish], just to try something new. When the dinner came to the table, an outcry of biblical proportions followed and Christmas was almost cancelled. Everyone survived the trauma, but my Mother never a tried it again. After 3 decades my Father still mentions the infamous year we had baked codfish for dinner. Outrageous – after that, only anarchy could have descended to the civilized world. This year, I staid in Zurich for Christmas. And when not in Rome … I almost made a point of departing from the usual traditions. Well, sort of… It is still codfish, but fresh. Not boiled, but baked with Serrano ham. And, for a complete departure from the tradition, the recipe was found on a book meant for british dieters. But, please, I beg you, don’t let my family know about it. It will be our little secret. 1. Preheat the oven to 220oC. Put the peppers, courgettes and onion in a large baking tray and drizzle them with olive oil. Season with a little salt and plenty of black pepper and toss everything until the vegetables are coated with olive oil. Roast for 20mun until softened and lightly charred. 2. Mix the bread crumbs with the cheese and parsley. Reserve. 3. Pat the codfish dry on kitchen paper and remove the bones with a pair of tweezers. Season with a generous amount of pepper. No need to add any salt – the Serrano ham has already plenty of salt on its own. Wrap the each fillet with a slice of ham, making sure they are closed. 4. Take the baking tray out of the oven and make space for the codfish and ham. A few gaps will be suffice. Place the fish on the tray and scatter the Parmesan mix all over the fish and vegetables. In case you worry about soaking the vegetables: the codfish will be sealed inside the Serrano ham and cook on its own juices. 5. Put the tray back in the over for another 12-15min or until the fish is cooked, the ham crisped and the breadcrumbs are lightly browned.